Globus religious vacations offer a unique way to connect with your spirituality, reshape your religious perspectives and leave you with a renewed sense of faith. Our escorted faith tour packages and itineraries have been honed by more than eight decades of experience and a passion for religious travel. And thanks to our 98% customer satisfaction rating, you'll return home refreshed, renewed and ready for another guided faith vacation. 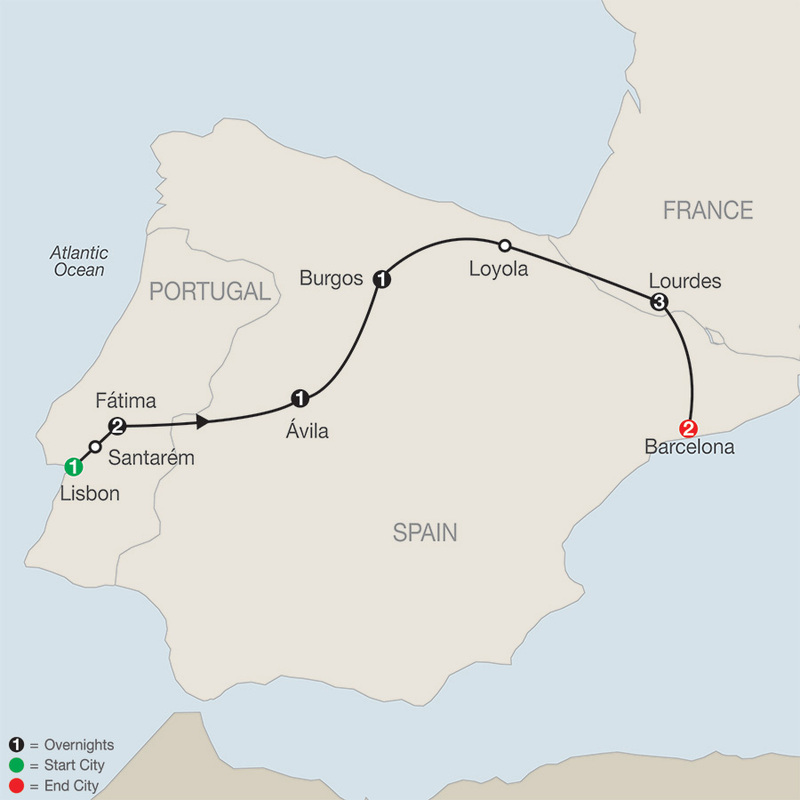 There’s no better way to experience Europe’s most treasured Catholic shrines than on this inspirational Journey through Spain, Portugal and France. Whether it’s standing in the very place where the Blessed Virgin Mary appeared to the three shepherd children over 100 years ago in Fatima, immersing yourself in the Healing Baths in Lourdes, or reflecting in Gaudi’s magnificent Sagrada Familia, this ...Read More. Experience Greek history and culture and learn more about early Christianity as you visit some of the places associated with the missionary journeys of the Apostle Paul and the New Testament. 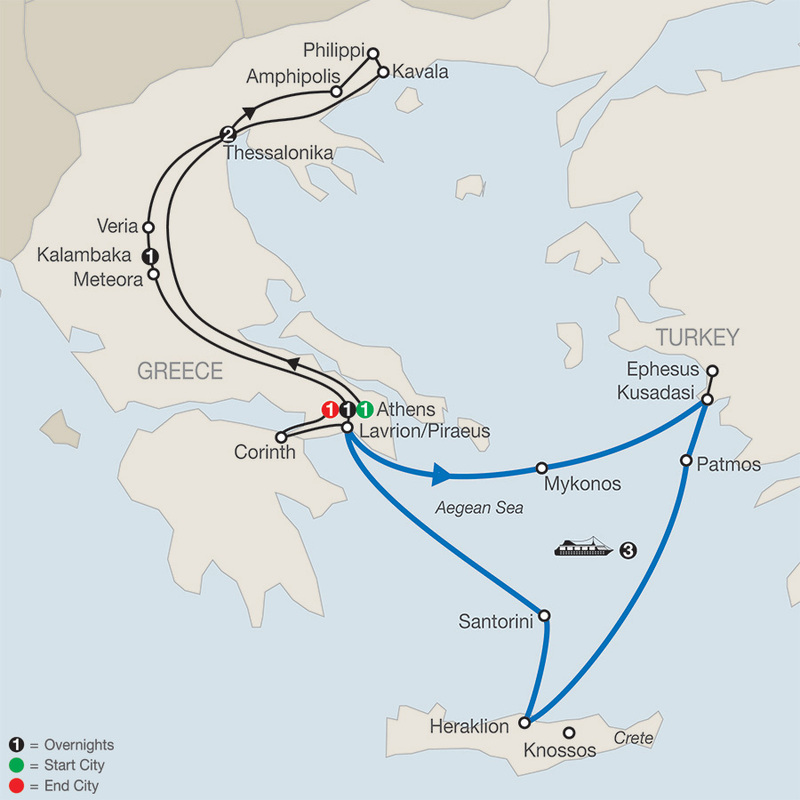 From the iconic religious sites retracing the footsteps of the Apostle Paul to historic wonders like the Acropolis in Athens and a final touch of relaxation as you cruise on the Aegean, this is a truly ...Read More. See the stories of the Scriptures come to life as you walk in the footsteps of Jesus on this faith-based journey which includes some of Christianity’s most important sites. 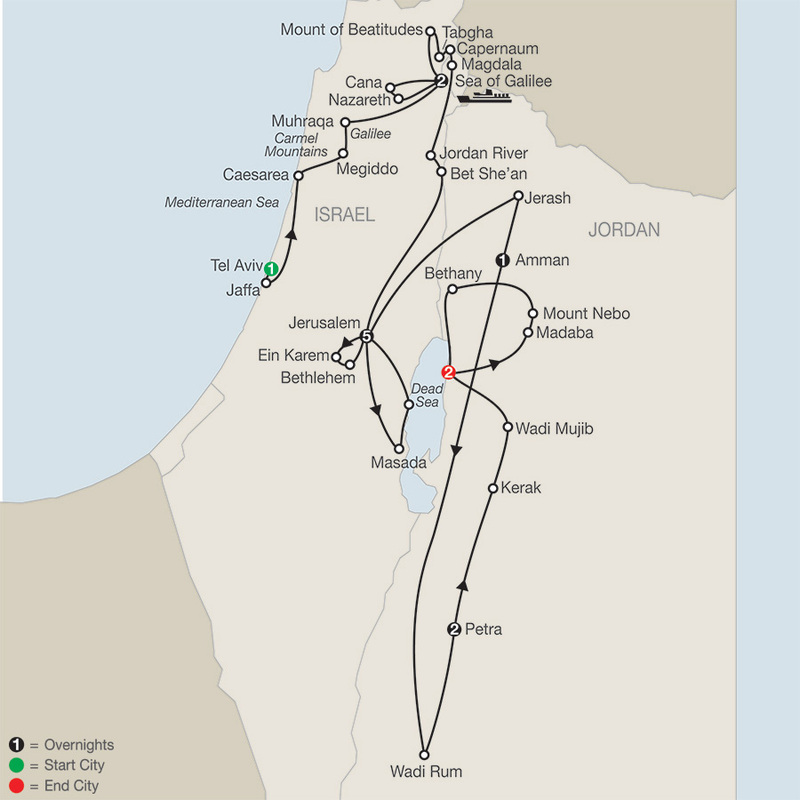 Visit places of biblical importance such as Megiddo, Cana and the Mount of Beatitudes and hear the stories of the Bible told over time. The Old City of Jerusalem will leave you amazed as you see and learn more about Jesus’ ...Read More. 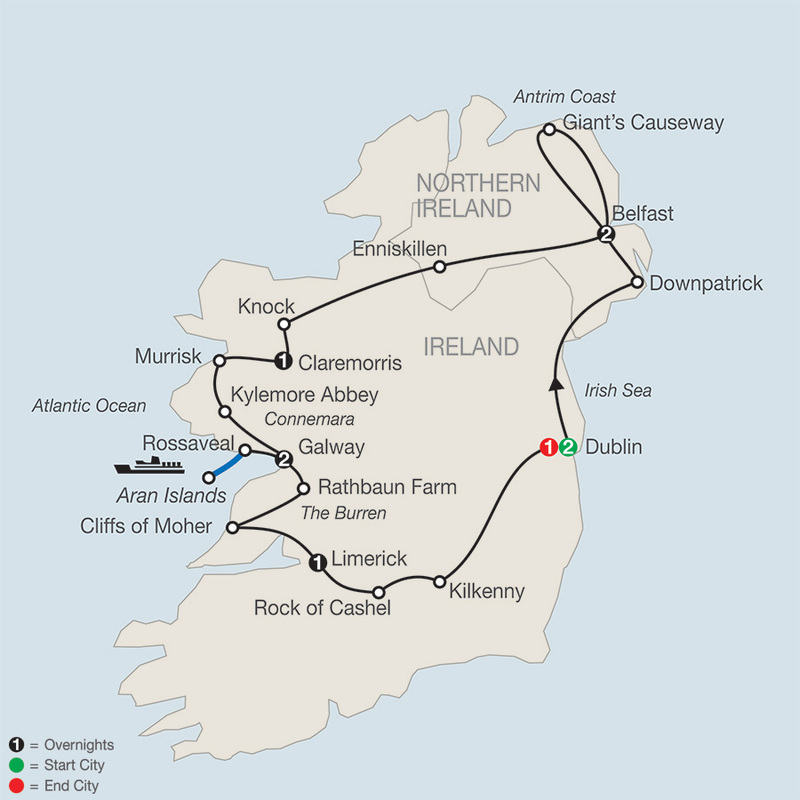 The “Emerald Isle” offers spectacular beauty and a rich cultural history. Explore this spectacular island as well as following in the footsteps of St Patrick, the patron saint of Ireland and among the first missionaries to spread the Christian faith here during the 5th Century. Visit key religious sites such as the final resting place of St. Patrick in Downpatrick, pray and reflect at the famous ...Read More. Home to numerous places of devotion and worship—not to mention exquisite art and architecture—Italy is the perfect destination for travelers looking to rejoice in their faith. 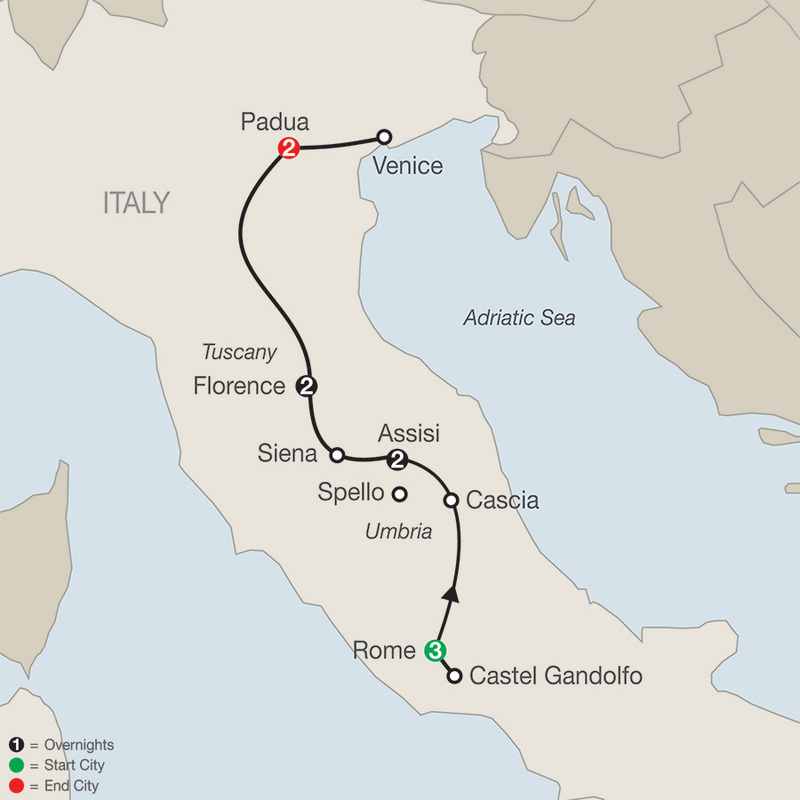 On this Italy tour, you’ll overnight in Rome, the heart of Christianity; Assisi, where St. Francis was born, worked, and died; Florence, one of the world’s most beautiful cities; and Padua. Along the way, you'll visit—and ...Read More. Walk in the footsteps of Martin Luther on this Germany vacation highlighting the European Reformation. 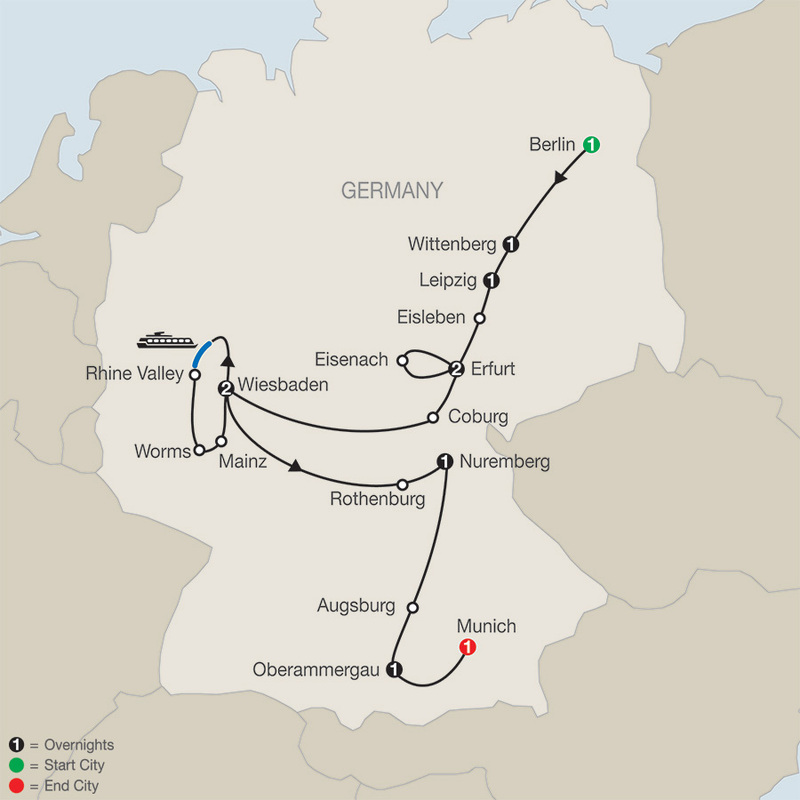 You'll overnight in Berlin, Wittenberg, Leipzig, Erfurt, Wiesbaden, Nuremberg, Oberammergau, and Munich, and you'll visit Eisleben, Eisenach, Coburg, Worms, Mainz, Rothenburg, Augsburg, and the Rhine Valley along the way. 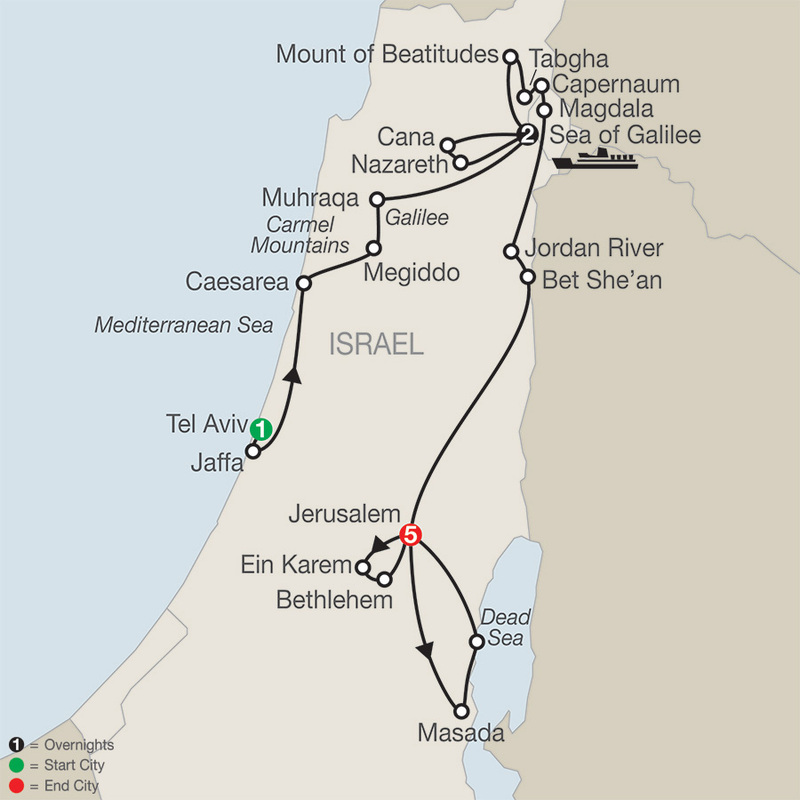 On this faith-based tour, you’ll visit many of the sites important in ...Read More. See the stories of the Scriptures come to life as you walk in the footsteps of Jesus on this faith-based journey which includes some of Christianity’s most important sites. In Israel, visit sites of biblical importance such as Megiddo, Cana and the Mount of Beatitudes and hear the stories of the Bible told over time. The Old City of Jerusalem will leave you amazed as you see and learn more about ...Read More.